These truffles are made in the rolling hills of Lancaster County by a 4th generation Swiss chocolatier, Albert A. Lauber. Starting with imported chocolate from Switzerland, Albert adds fresh butter and cream from neighboring Amish farms to create the creamy chocolate mousse centers. 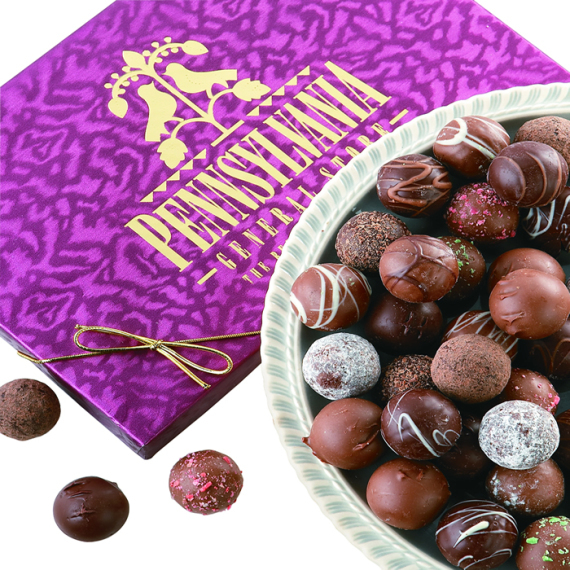 We pack 24 milk and dark chocolate truffles with different centers in our signature Pennsylvania General Store gift box.